Few natural resources on earth enjoy the luxury of association with glamour, value and timelessness as quartz. The second-most plentiful mineral in the world, quartz has long enjoyed an association with jewellery, fine watches and sculpture which make it a highly desirable material for building. That strong reputation for quality makes quartz a great consideration when looking ahead at upgrades to the living spaces within your home. When looking at a home renovation, quartz can add an elegant touch for your countertops that is certain to create a stunning impression. But why should you consider quartz over other materials? Our expert team at K&J’s Custom Granite will be glad to discuss the opportunities and advantages with you, but to get you started down the right path, here are some things to consider. Though often produced at the same thickness of granite or stone countertops, the manufacturing of quartz results in a finished product which is stronger than other materials. Another great advantage lies in the production process which allows for full customization of not only color, but also pattern as well as texture to ensure that you get the exact match to create the personality of each room where installed. Visit us at K&J’s Custom Granite in Edmonton to find your inspiration and explore the possibilities available as you refresh the look and feel of your home. Find out how we’ve helped many Edmonton area homeowners with a quartz solution for their renovation projects and imagine what we can do for you. Of course, quartz is recognized for the durability and resistance to scratches, stains and heat damage similar to other stone products of its kind. However, unlike other countertop materials, quartz is non-porous, which means that it does not require to be sealed as granite does, making quartz an attractive solution, especially for busy kitchens where your counters often see use for multiple purposes by all members of the family. Non-porous means fewer opportunities for the development of bacteria and it’s easier to clean. But perhaps where the scales really tip in favor of quartz over granite for your renovation may be in its cost. 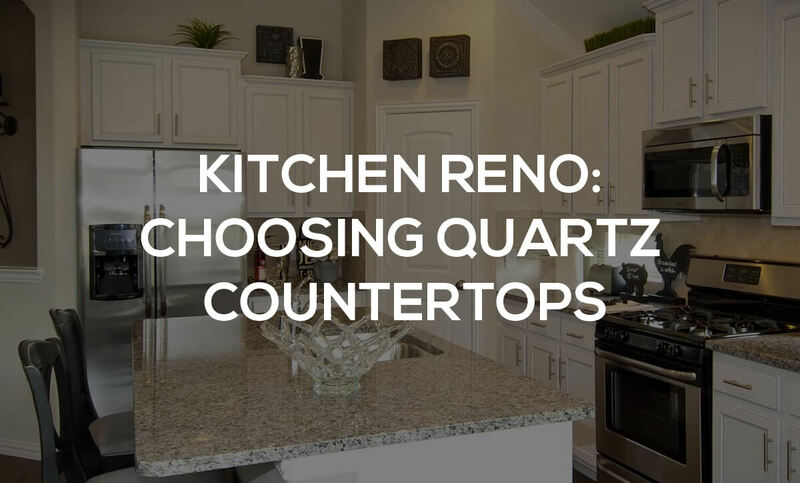 When your budget is a key consideration for your project, it’s important to know that quartz costs less per square foot than granite, and given the larger counter areas in modern kitchens, those cost savings can really add up. Shop and compare, but you may find that granite offers the sophistication and durability that you need with the price you want. To explore if quartz is the right solution for you, we invite you to visit us in Edmonton at K&J’s Custom Granite to discuss the best options to meet your needs related to design, quality, price and answer any other questions you may have to help you make your purchase with confidence. Your home is your castle, and every dollar you spend is an investment you want to enjoy for as long as you own your home.